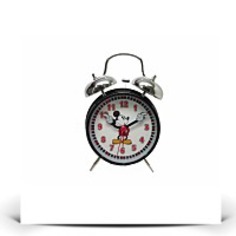 Nostalgia rules with this classic alarm clock featuring Disney's Mickey Mouse. Standing at roughly 5 inches tall and 4. Made of solid metal housing featured in black with arms that move with the time and mirror finished chrome alarm bells that is incredibly easy to set each night before you go to bed. 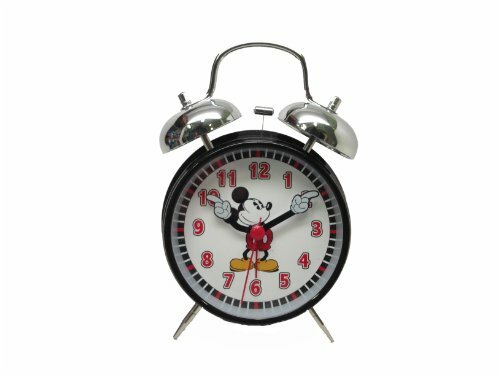 5 inches wide, it's the perfect nightstand or dresser accessory for the Mickey fan. A classic piece sure to final for decades!